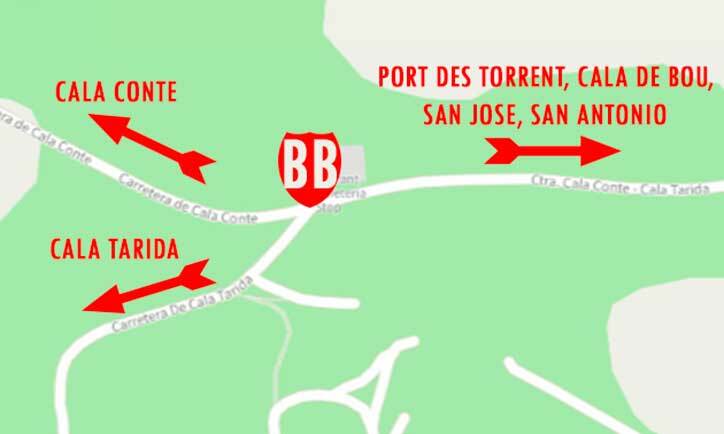 Just to get one important thing clear from the start, Buddha Buddha would be more correctly described as being equidistant between Cala Conte, Cala Tarida and Sant Agustin. Locals will know it as what was Bar Stop, and for everyone else see our map inset. OK, so that is the ‘where’ covered, now on to the far more interesting subject of ‘what’. A venue with two distinctly different personalities. 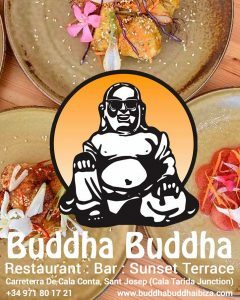 The Buddha Bar is a great locals haunt and ideal for a pit stop on the way to or from the beach. Good food, great prices, modern but unfussy. Walk a few metres into Buddha Buddha, the restaurant and sunset terrace, and you are in a completely different world. 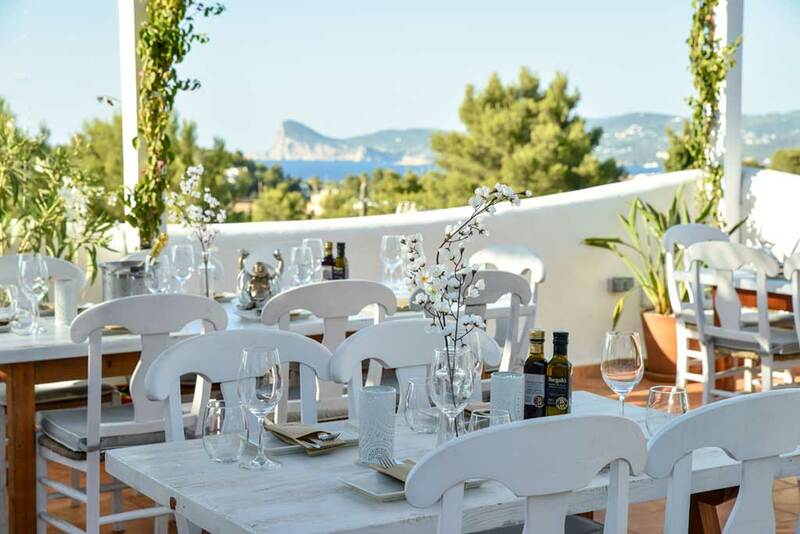 A shabby chic style, contemporary but comfortable, spectacular views, and a modern and very well considered menu. Recently renovated the main bar offers a traditional environment with Menu del Dia, beverages, pool table and games. I watched a couple of World Cup games there and the bar had a really cool local-multinational (hopefully you’ll know what I mean by that) feel about it. Despite its lack of pretentions, the bar still benefits from the Buddha kitchen’s modern approach to food. The burger line up includes a Beetroot Veggie option with homemade slaw, but I expect many of you will be torn as I was between the Steak Ciabatta with red onion chutney, Dijon mustard and hand cut chips, or the Fish Finger Ciabatta with fresh cod, tartare sauce and chips. No need to panic too much in your deliberations as both are great, but if pushed, for me it has to be the fish finger. 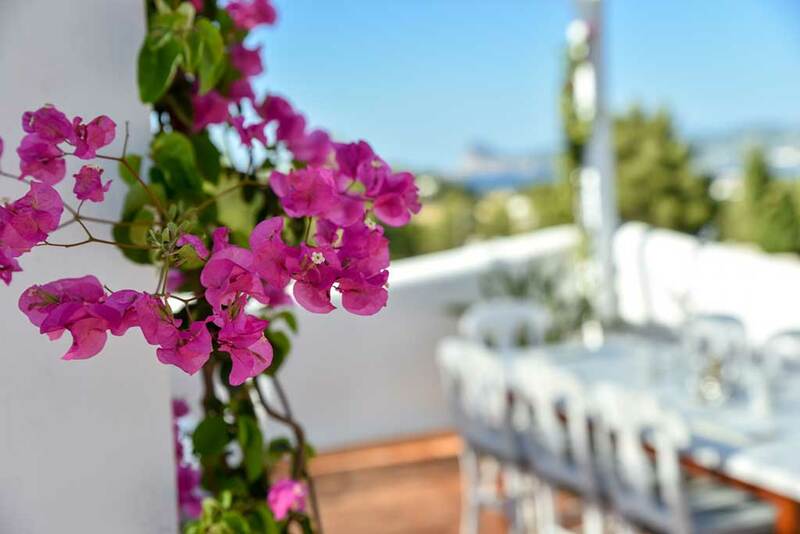 There are many terraces in Ibiza, but this is a special terrace. Starting with the view, which is quite simply stunning. From its elevated position you are looking out right across San Antonio Bay to Cap Negret in the distance. The style and décor strikes a great balance between modern and contemporary, but still inviting and comfortable. In addition to the main table seating area there are various sofas, daybeds etc dotted around, and even an unobtrusive children’s sand pit to keep the little ones occupied while you get on with the important business of sipping, chatting and relaxing. The full restaurant menu is available on the terrace ~ and during the summer months I am sure the vast majority of diners would choose the terrace for their meal. “Come and experience our exciting Asian infused dining experience here at Buddha Buddha. Savour a mix of delicious tapas dishes from around the world. 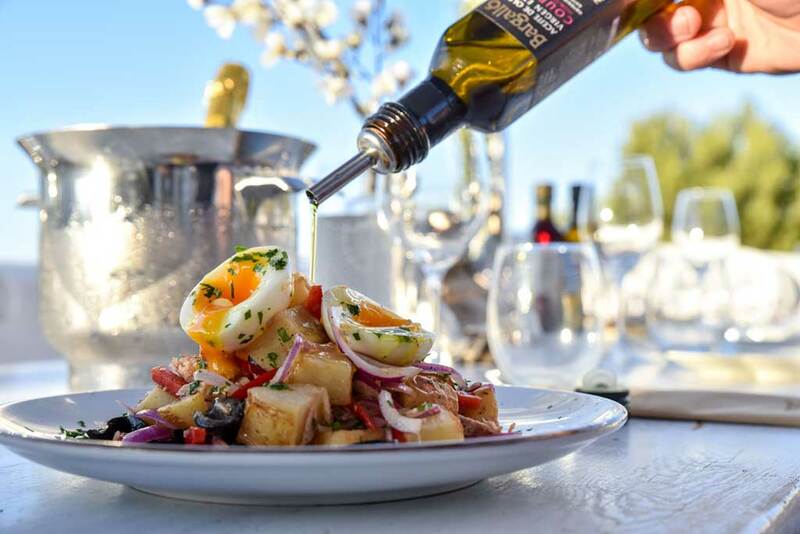 Our fresh and healthy dishes are prepared from food sourced locally.” So says the Buddha Buddha website, and they have certainly ticked many boxes sought by an ever more educated and expectant dining public. The menu is as new as it is inspired. Officially launched Friday the 3rd of August, here are a few of the items that caught our eye. 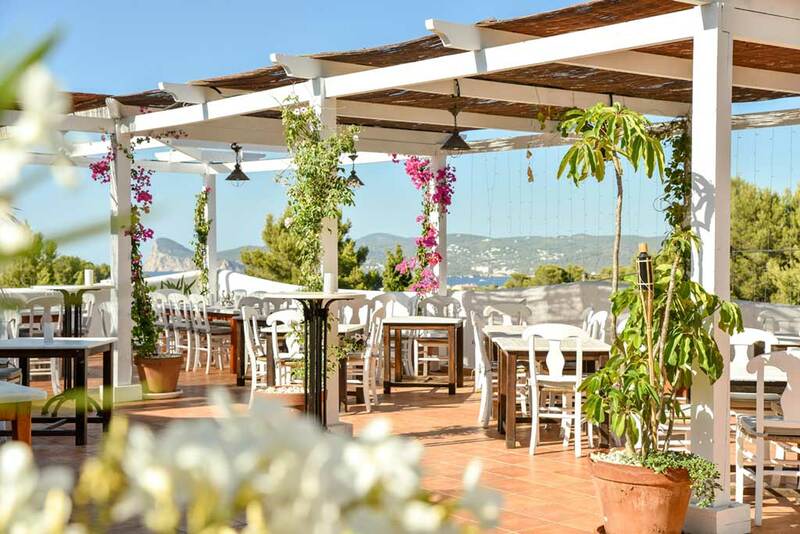 Already proving a great success, Sundays at Buddha Buddha offer a barbeque plate with drink for just 10€ – frankly that is as good a bargain as you’ll find in Ibiza anywhere. Better still is to choose an afternoon on which they are staging live music—for example the week of our visit had local legend Nell Shakespeare doing her thang from 2pm, alternating between mixing beautiful music from her vaults including funk, soul, cumbia, psych, lounge, disco, folk… whatever takes her fancy… and performing those unique soulful cover versions we all love. 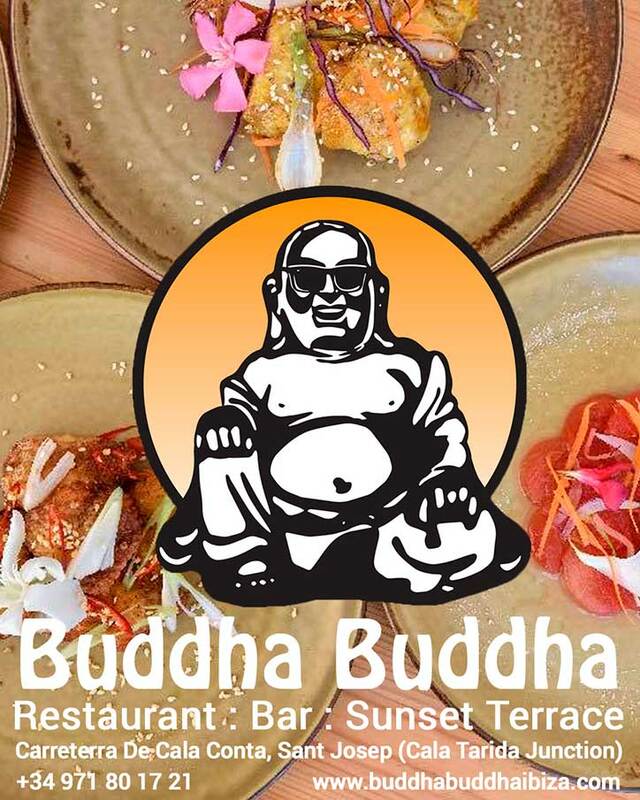 Buddha Buddha are intent on opening all year, and with such a fantastic and versatile space it is bound to be a favourite winter weekend haunt for families from the Bay and South West coast. Sunday BBQ from 1pm-8pm, 10€ including drink.